The last two years we have been in the middle of some kind of renovation at Christmas time, making focusing on decorations challenging. This year though we had so much fun putting everything up! 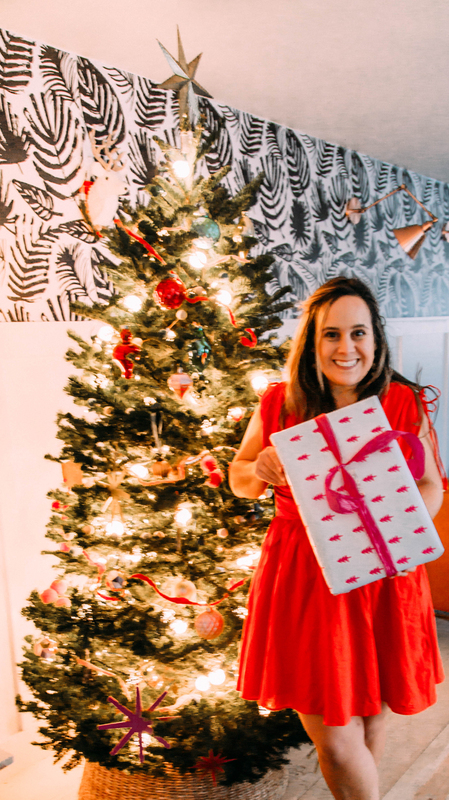 I’m thrilled to share our Christmas room decoration ideas and a few easy Christmas decorating hacks you can use to make any room of the house more festive. Because the outside of our house is still a work in progress – we’ve livened it up this year, with lights, color and a whimsical flair. I grabbed a couple of Nordic pines to plant in our planters (they were only $13 each at Walmart and will last all season long). 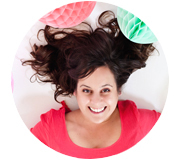 Coupled with this cute wreath and teal party garland. It’s a mini-front porch that doesn’t take itself too seriously. We decorate the kids room every year and the centerpiece of it all is that they each get their own mini-trees. The kids LOVE getting to set up their little trees every year and fall asleep next to the lights. I love that their mini-trees means they get a lot of their decorating passion out and I can decorate our larger family tree. We let them pick out their own ornaments, hang some sentimental ones and decorate their hearts out. Remember last years unicorn Christmas tree!? 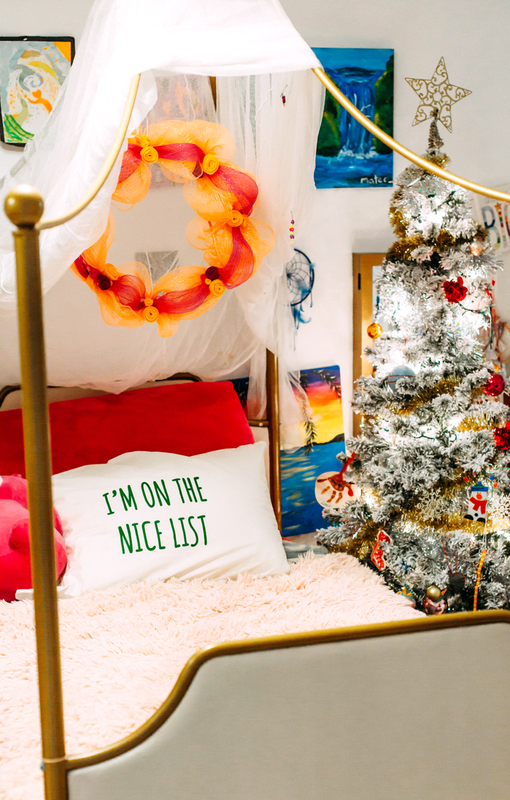 Simple felt ball garland, wreaths and Christmas teddy bears finish the space off and these fun naughty vs nice list pillows make me smile. Setting up our Christmas room decoration ideas for the dinning and kitchen is always so fun! 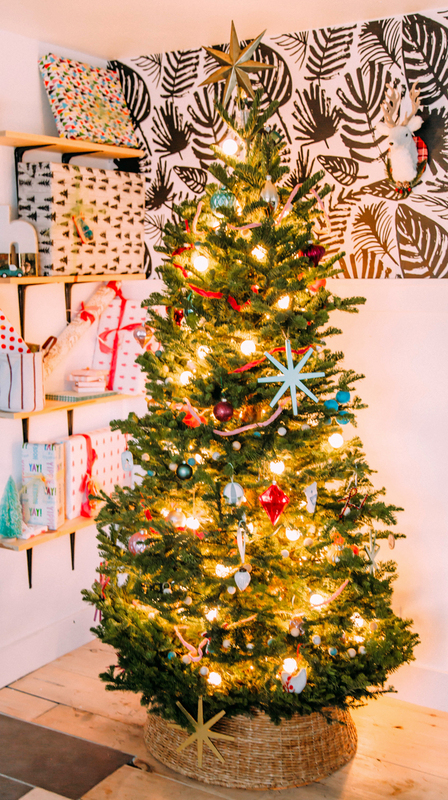 Being our 2 most used rooms in the house and also the two busiest, means that we need to set up decoration ideas that will set a festive vibe without overwhelming the space. 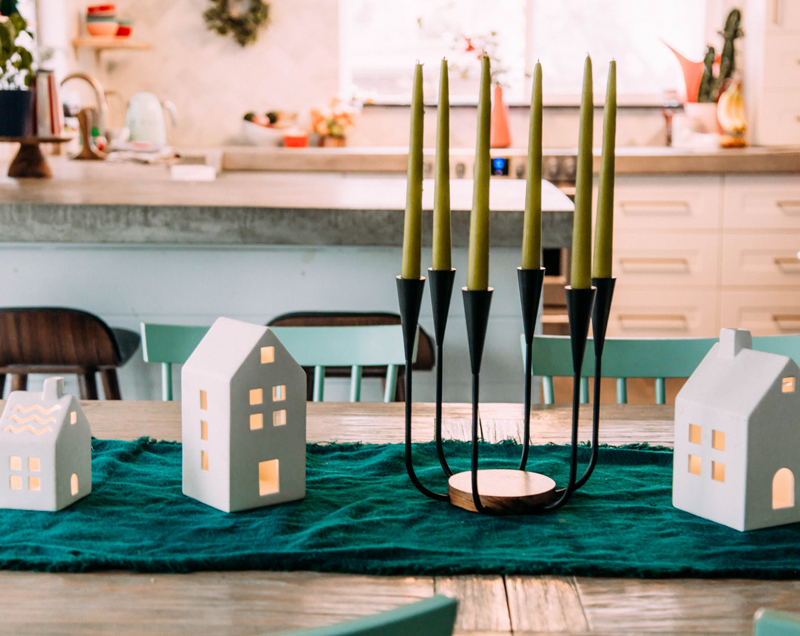 A simple tablescape of Target dollar section light up houses and a candelabra with funky lime green candles means we are as ready to sit for a quiet night of Advent as we are to host a romping dinner party. Putting up wreaths over out photos brings the fresh pine smell into the space and creates a pretty backdrop to eat by. 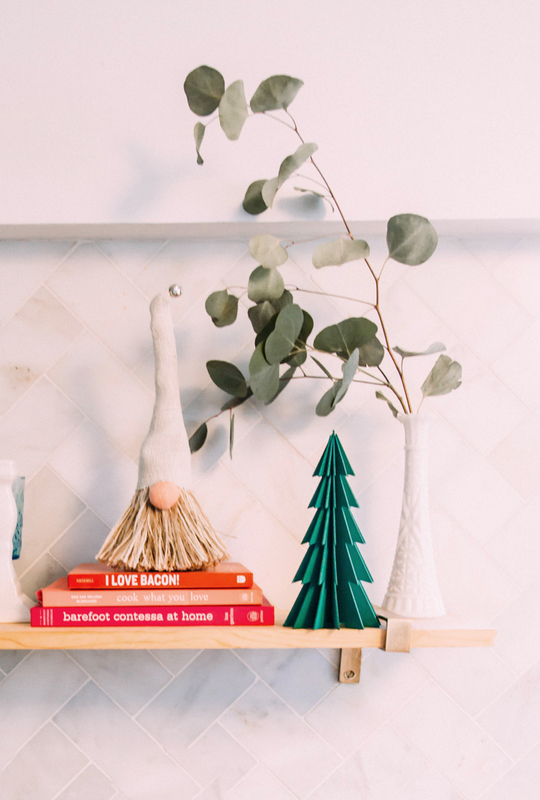 Instead of cluttering our counters with 1,000 Christmas cooking items, we instead used our favorite kitchen shelves to create a Christmas display that is 100% festive and doesn’t impede our holiday cooking plans. To pull the space together and create Christmas living room decoration ideas you’ll love for years try grouping like items together. 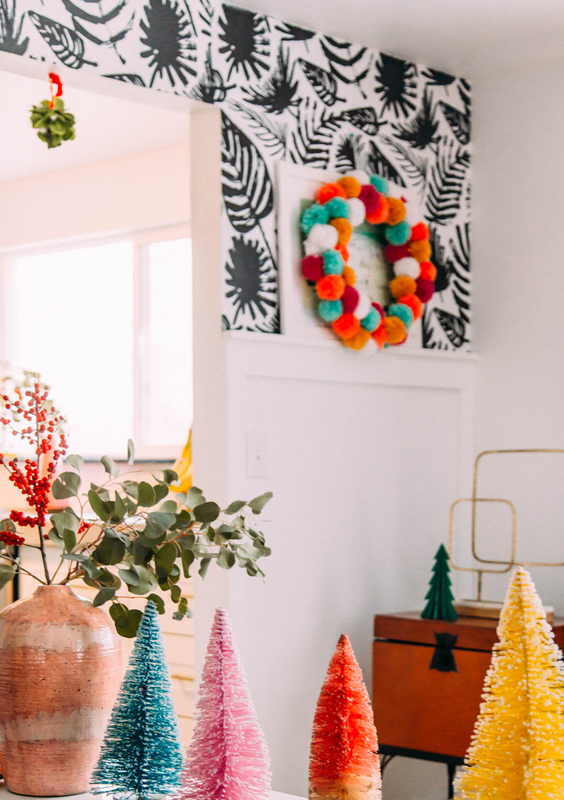 We set up our bottle brush collection behind the sofa creating a colorful forest that makes a much larger impact that individually placing them around the house. 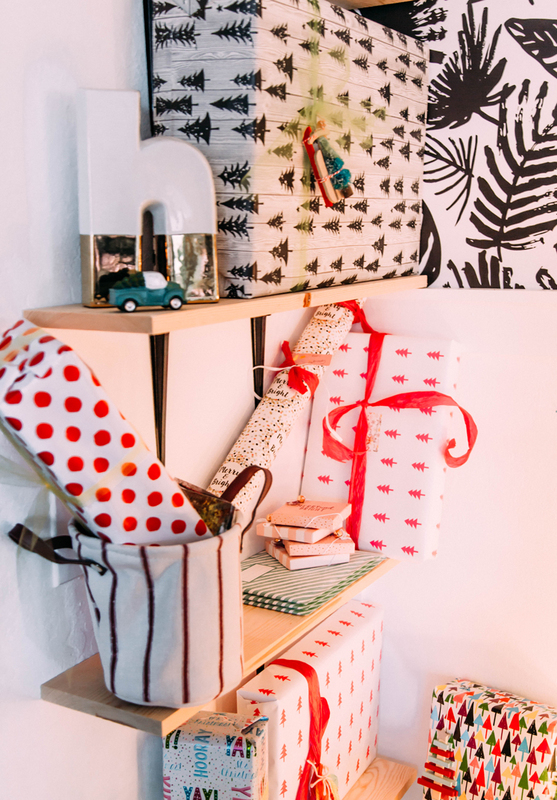 Making space for the tree is an obvious point for any list of Christmas room decoration ideas. We are on team fresh tree every year! Something about the hunt and that amazing smell is just my favorite. One of the fun ideas we had this year to pull the living room into our Christmas rom decoration ideas list was to rearrange the bookshelf. If you remember we built these wall shelves as a part of our DIY reading nook update and they normally hold, you guessed it… books! But, for Christmas we put the books away and filled the shelves with presents. Not only does it look festive, but also keeps our wrapped presents nicely away from the puppy at home. 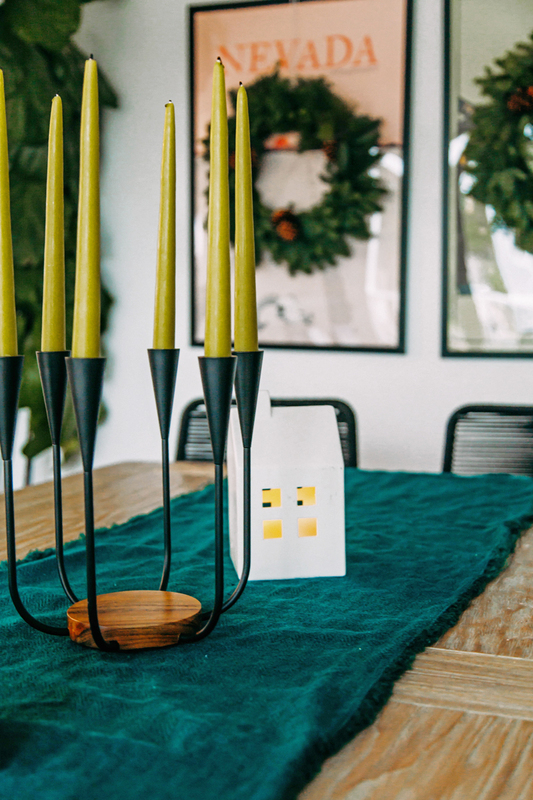 Pulling the art around the house into the festive vibe can be done a couple ways. The most obvious is to wrap them, but I don’t love this look, so instead we hung wreaths over all our artwork around the house. 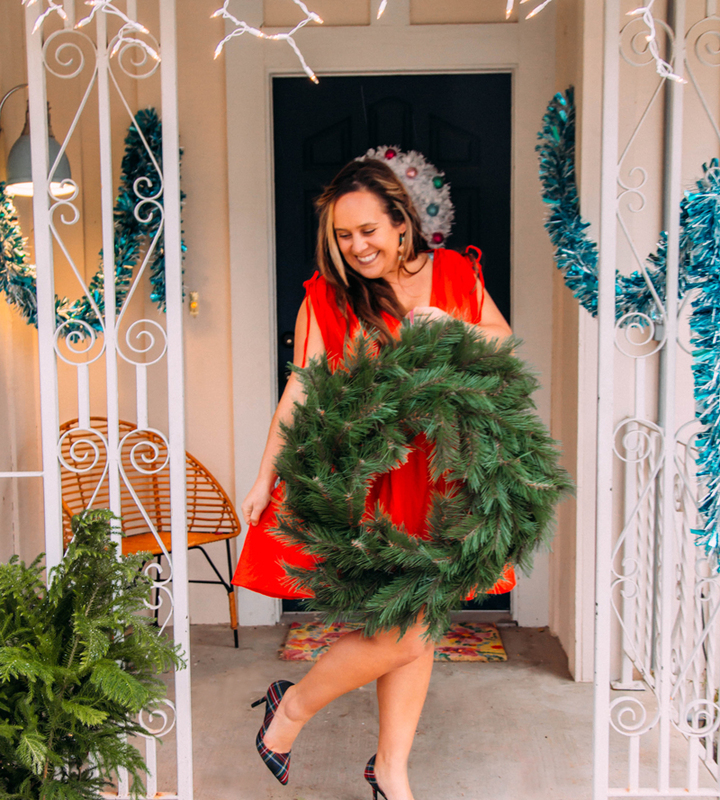 We hung fresh pine in the dinning room, felt ball wreaths in the living room and a deco mesh wreath in my daughter’s room. 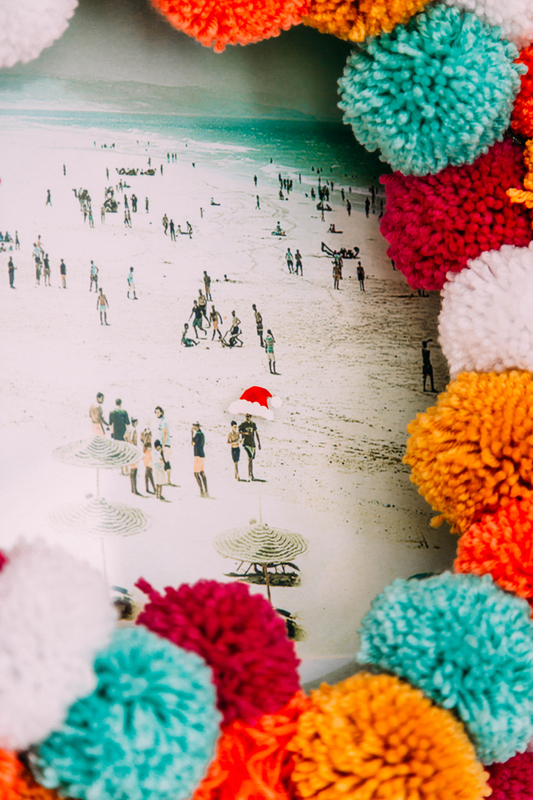 Also adding a few fun details to the artwork, like sticking a Santa hat sticker on a beach scene easily pulls the artwork into the season and make everyone smile as well. 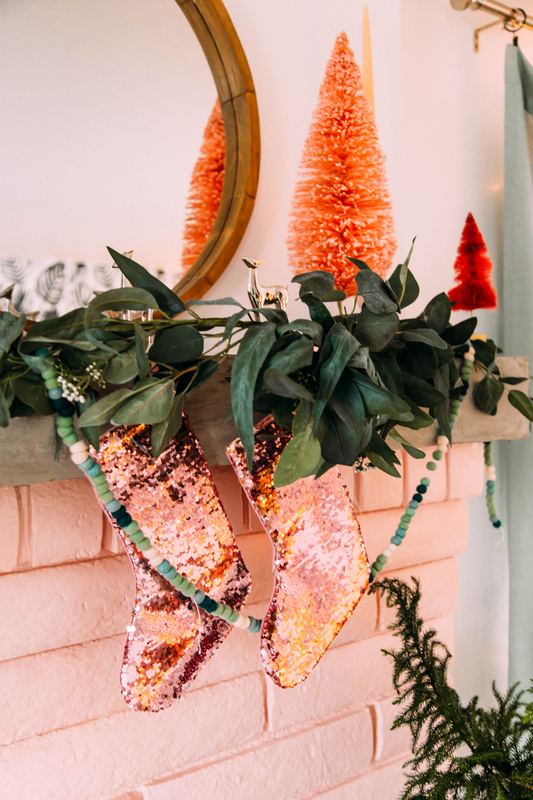 Our mantels tend to give the biggest umph of all to our Christmas room decoration ideas. 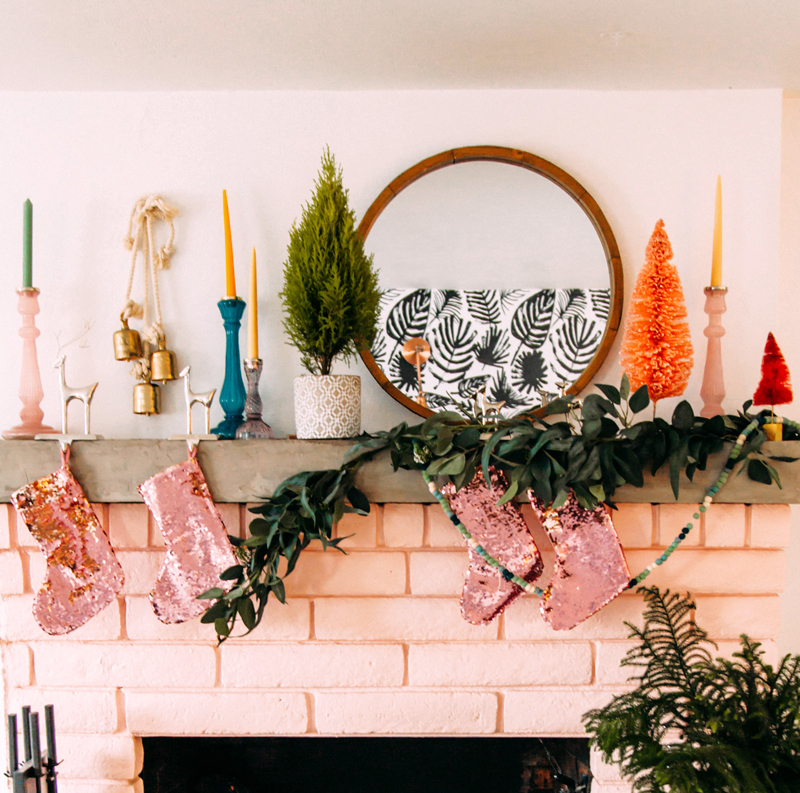 We went simple on the pink mantel this year (last year we filled it with balloons!). A nordic pine, a funky green planted pine, bottle brush trees and candles create a mantel that brings joy without being overbearing to the room. 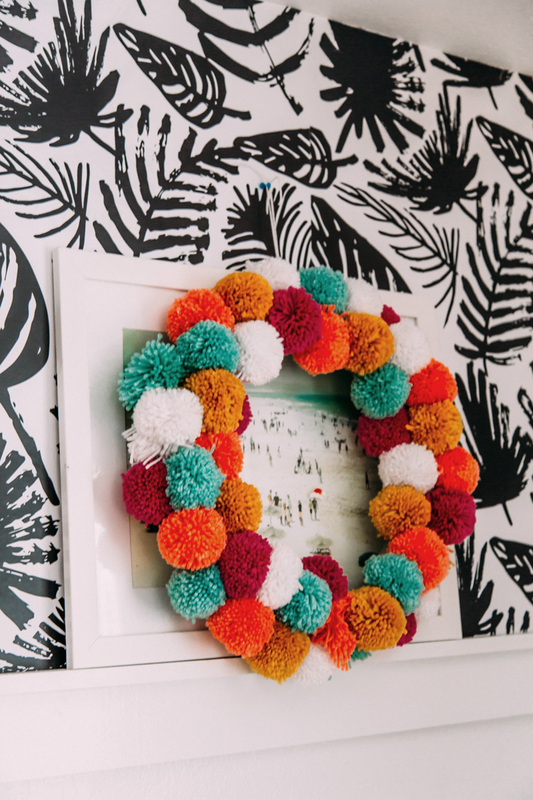 This garland we plan to use all year long as it changes with the seasons effortlessly. In our bedroom we went soft and white with the electric fireplace mantel. 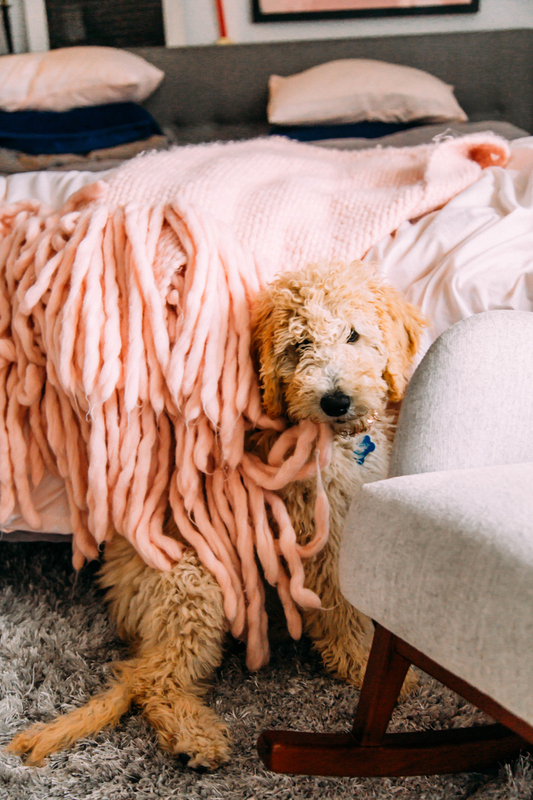 If you don’t have a fireplace in the bedroom, I sincerely suggest it (see how we DIY’d this one right here). 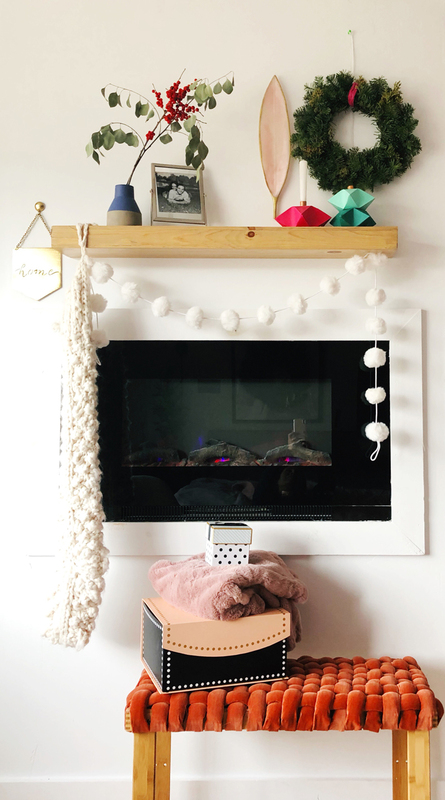 Our DIY bench with piled velvet gives a soft place for setting gifts and the colorful DIY candle holders with origami stars add a pop of fun & color to the wall. How pretty and festive everything is! So creative! Enjoy your holidays!